At first, you will see the shift management as disabled. 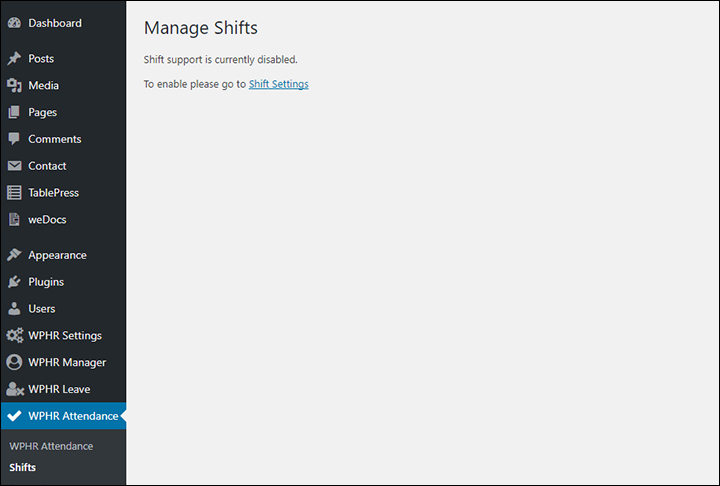 WP-Dashboard → WPHR Settings → Settings → HR → Attendance → Enable Shift Management. After enabling shift management, navigate back to WP-Dashboard → WPHR Attendance → Shifts page. 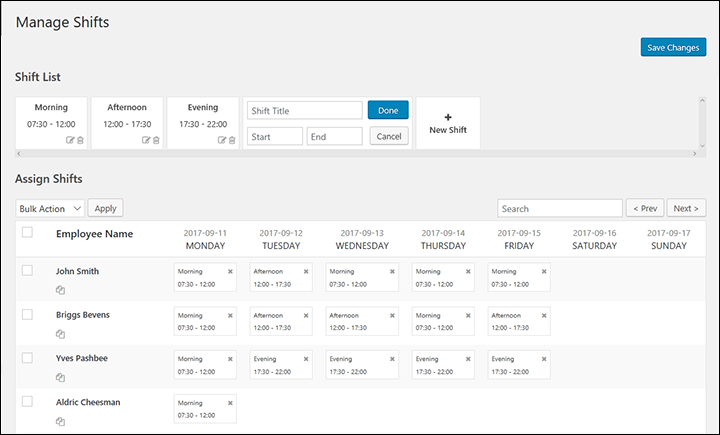 From this page, you can now create and manage your shifts. Just click on the ‘New Shift‘ button to create a new shift. Enter the shift title, start time and end time. Click ‘Done’ and finally save the page. You can always edit and delete a shift if you want. To assign a shift to an employee, drag that shift and drop it after the employees name. Please note, you have to drop the shift for each of the days of the week. There is a copy shift button under the employee name. 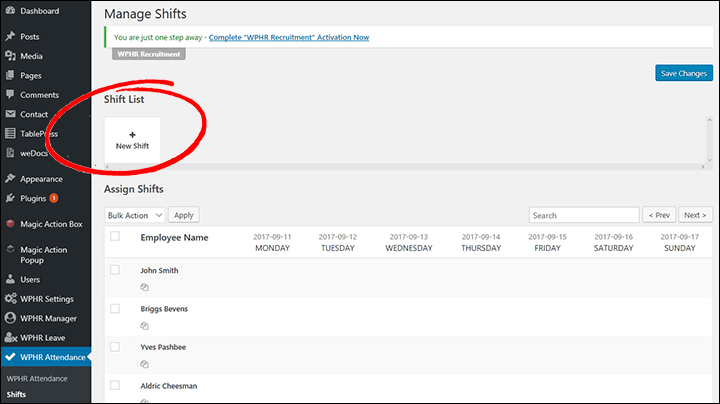 You can click on that button to create a similar shift management for that employee for the next week. You can also assign multiple shifts to a single employee if required. After managing the shifts, click on the Save Changes button.